The Jeep brand is broadening its vehicle lineup with the introduction of three new rugged, versatile and innovative vehicles that deliver classic Jeep design and capability. The new 2010 Jeep Liberty Renegade boasts a new premium, rugged appearance with standard class-leading capability features, while the Jeep Wrangler lineup is expanded with unique limited-edition models – Jeep Wrangler Islander and Jeep Wrangler Mountain – that deliver high-impact visual appeal with outdoor fun-and-freedom themes. The new Jeep Liberty Renegade and Jeep Wrangler Islander edition will be available in Jeep showrooms in the first quarter of 2010. The Jeep Wrangler Mountain edition will follow in the second quarter. The “Renegade” name returns to the Jeep lineup for 2010. First used in 1964 on the inside door opening of the Jeep Wagoneer, the Renegade has always represented the rebellious heart and soul of the Jeep brand. Positioned between Liberty’s Sport and Limited models, the new Jeep Liberty Renegade expands the Jeep Liberty lineup, delivering renowned capability – highlighted by Jeep’s Selec-Trac II full-time, shift-on-the-fly, active four-wheel-drive system – in a unique, premium and rugged new design. Jeep Liberty Renegade is offered in a new, Renegade-exclusive Salsa Red Pearl Coat exterior, as well as Natural Green Pearl Coat, Deep Water Blue Pearl Coat, Bright Silver Metallic Clear Coat, Brilliant Black Crystal Pearl Coat and Stone White Clear Coat. Standard Liberty Renegade exterior features include painted Mineral Gray Keystone 16-inch wheels that wear new, rugged all-terrain P235/70R16 outline white letter (OWL); dark neutral metallic wheel flares, lower side sills, front and rear fascia, body side moldings and rear license plate bar; black headlamp bezel; Argent Silver accent on the lower fascia appliqué and roof rack; Satin Black vinyl hood graphics; deep-tint glass; fog lamps; skid plates and tow hooks. Inside, standard appointments include new premium cloth seats; leather-wrapped steering wheel, shift knob, instrument panel grab handle and park-brake boot; new driftwood accent bezels; leather-wrapped center console and soft-door armrests; premium Electronic Vehicle Information Center (EVIC); cruise control; security alarm; rear cargo cover and steering-wheel-mounted radio controls. The Jeep Liberty Renegade’s standard Selec-Trac II active four-wheel-drive system offers customers the benefit of a fully electronic two-speed active transfer case and Brake-traction Control System (BTCS). It instantly anticipates wheel slip and redirects torque accordingly, which is ideal for off-roading or when driving in inclement weather. This premium system offers a “4WD Auto” mode that is ideal for full-time driving. When in 4WD Auto mode, the system uses vehicle sensors to adjust and redirect torque between front and rear axles based on real-time driving conditions, providing the vehicle with responsive tractive performance. For added capability when traversing steep grades, rough terrain or extremely poor traction surfaces, the transfer case includes a “4WD Low” mode. This second-speed gear multiplies engine torque 2.72 times and locks the clutch pack for maximum traction. Electric shifting between 2WD, 4WD Auto and 4WD Low is accomplished with a console-mounted switch. A push-pin button is used to shift to Neutral mode. 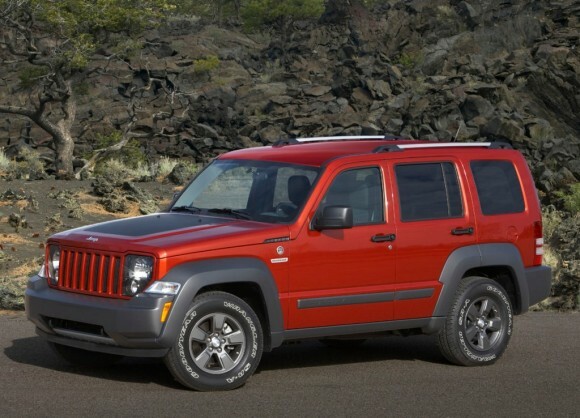 A 3.7L V6 engine is standard on all Jeep Liberty models, including the new Renegade. The engine produces 210 horsepower at 5,200 rpm and 235 lb-ft of torque at 4,000 rpm. All Jeep Liberty models offer customers an “only-in-a-Jeep” open-air experience, courtesy of Jeep’s industry-exclusive Sky Slider™ full-length open-canvas roof. After more than 20 years, the unique Islander theme returns to Jeep. 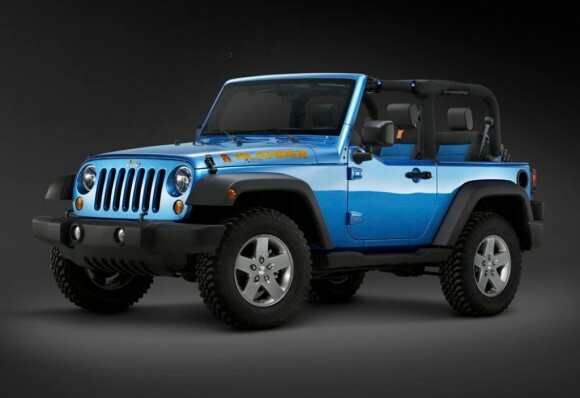 The limited-edition Jeep Wrangler Islander is available on Wrangler and Wrangler Unlimited 4×4 models. Based on the Wrangler Sport model, the Islander’s unique beach theme conveys open-air fun at first and every glance. Inside, Islander’s seats are Dark Gray with Surf Blue inserts, blue stitching and an embroidered Islander “Tiki Bob” logo adorning the seat back. Blue stitching also has been added to the leather-wrapped steering wheel, with Mopar rubber floor mats completing the beach theme. Further expanding the iconic Wrangler brand’s reach, Jeep delivers another high-impact, limited-edition model with the Jeep Wrangler Mountain edition. The Jeep Wrangler Mountain edition is based on the Wrangler Sport S package, and is available on Wrangler and Wrangler Unlimited 4×4 models. Exterior features include a unique “Mountain” decal on the hood with latitude and longitude coordinates that represent an actual location relating to the “Mountain” theme of the vehicle; painted high-gloss Mineral Gray 17-inch Moab wheels, grille and bumper appliqués; tubular side steps; 32-inch tires; black tail lamp guards; and a fuel-filler door from Mopar. Available exterior colors include Rescue Green Metallic Clear Coat, Brilliant Black Crystal Pearl Coat and Deep Water Blue Pearl Coat. Interior features include an embossed seat insert with embroidered “Mountain logo,” and anodized graphite heating, ventilation and air conditioning (HVAC) rings. The Jeep Wrangler Mountain option package will be available at a U.S. Manufacturer’s Suggested Retail Price of $1,820. © 2017 ModernOffroader.com. All rights reserved.